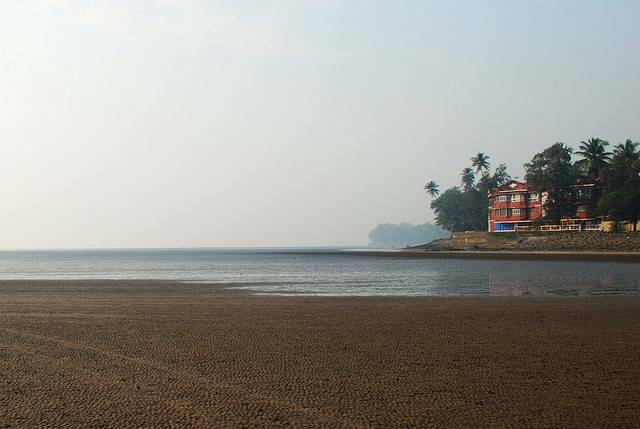 Alibaug beach has the blackest sand and has bustling local crowd in the evenings thronging the food stalls lining the sea side. Kolaba Fort is right on the the beach and is a major attraction. During low tide one can walk to the Kolaba fort, but be mindfull of the high tide or else you can get stranded on the fort. Water sports are available on the beach, one can indulge in banana boat ride, horse or camel rides etc. The Alibaug bus stand is about 1.2km from here and one can easily find autos for hire.